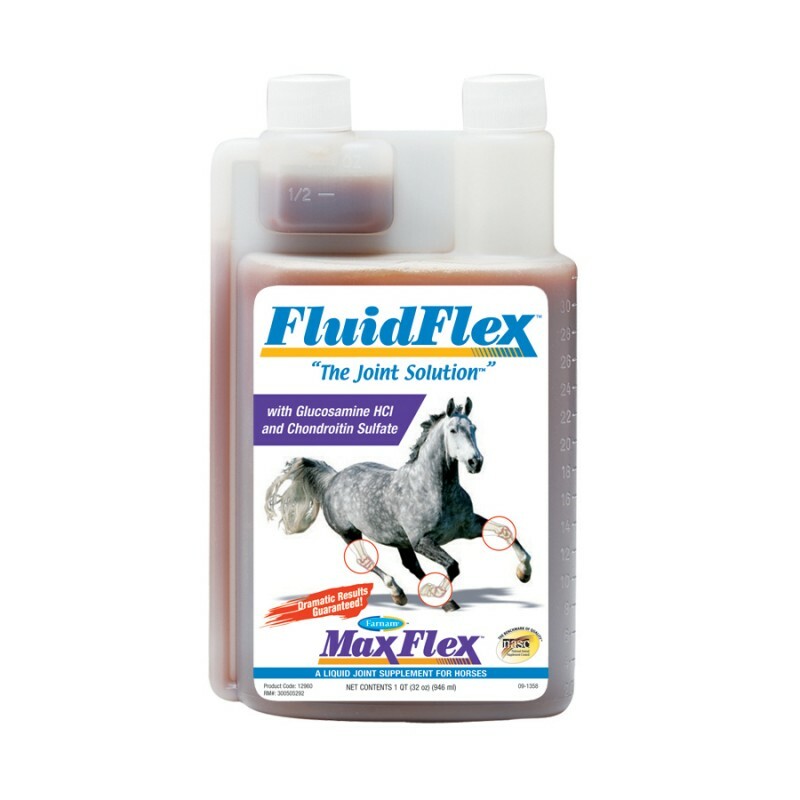 FARNAM - Healthy joint function - 946 ml, 1.89 or 3.78 l.
By buying this product you can collect up to 21 loyalty points. Your cart will total 21 loyalty points that can be converted into a voucher of 6,30 €. 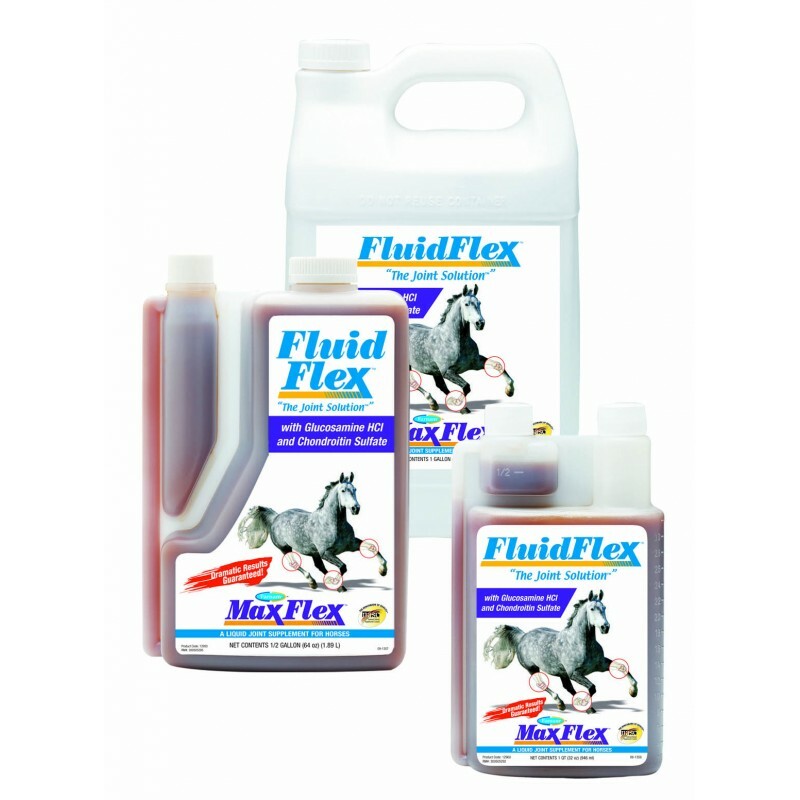 FLUID FLEX is an exclusive formula containing glucosamine HCl, chondroitin sulfate and potent antioxidants in liquid form for fast absorption. Glucosamine, is an amino sugar, proven to play a pivotal role in maintaining and rebuilding vital connective tissues, such as, the cartilage surrounding bones and joints. 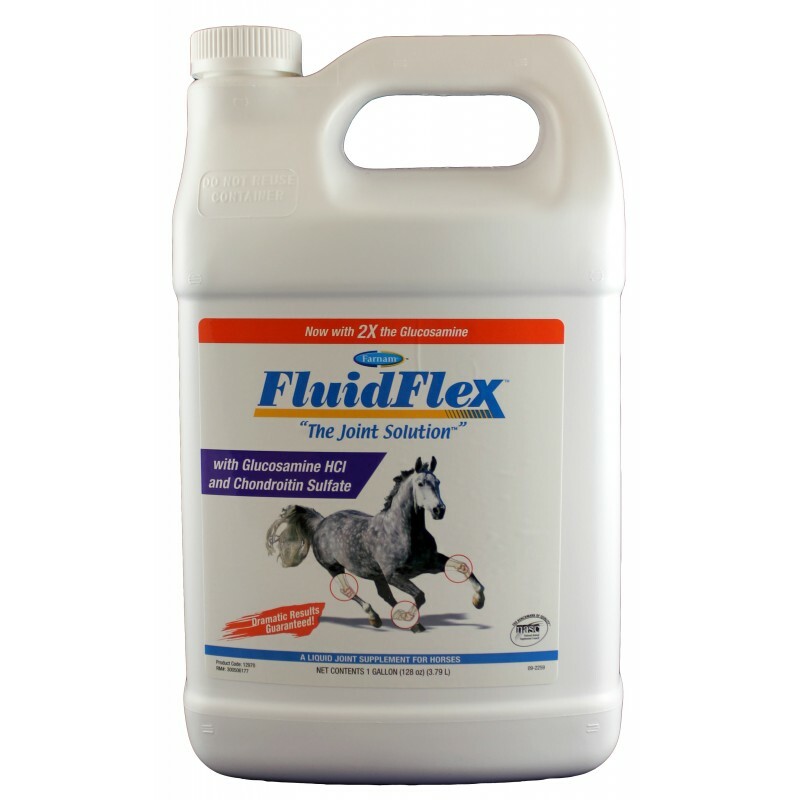 Chondroïtine sulfate is proven to improve flexibility and performance of joints. Citrus extract is a source of natural bioflavonoids to maintain capillaries in good condition. Yucca Schidigera and Pineapple act as a natural anti inflammaty nutrients. Grape seed extract is an anti oxydant, copper is essential for bone & cartilage collagen synthesis, zinc contributes to cartilage integrity. Manganese promotes chondroïtine synthesis to contribute for healthy joint function. 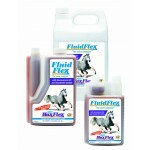 Feeding guide : To be mix with feed or to give orally with a dose syringe. For maintenance - give 30 ml (1 oz) per day. For the first 5 consecutive days, give 60 ml (2 oz) per day (loading dose). (Based on an 1100 lb adult horse. Give more for larger horses and less for smaller horses. Distilled water, glucosamine HCL (shark cartilage), Chondroitin sulfate, zinc sulfate, manganese sulfate, copper sulfate, sugar, sorbitol, Yucca Schidigera extract, pineapple extract, citrus bioflavonoïd, grape seed extract, sorbate de potassium, xanthan gum, propionic acid, artificial colour and flavor. Weight 946 ml, 1.89 ou 3.78 l.